The Urals form a natural border between Asia and Europe. South of the Urals lie the steppes, habitat for birds such as the Imperial Eagle (Aquila heliaca), Steppe Eagle (Aquila nipalensis), and Demoiselle Crane (Anthropoides virgo). Main threats to the birds include habitat loss and degradation; deforestation; effects of human activity and infrastructure development; and the effects of climate change. 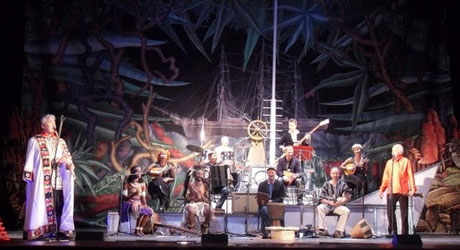 Paul Winter and members of the evolving Great Rift Valley Orchestra presented a concert in Ekaterinburg in the Ural Mountains. 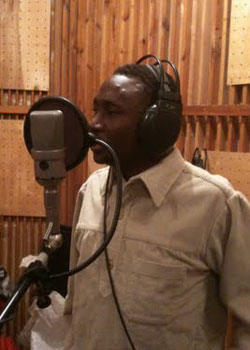 This collaboration linked the African members of the orchestra with Azat Aitkulov, a player of traditional flute from Ufa in the Bashkir region in western Russia, (representing a Eurasian aspect of the Great Rift flyway). 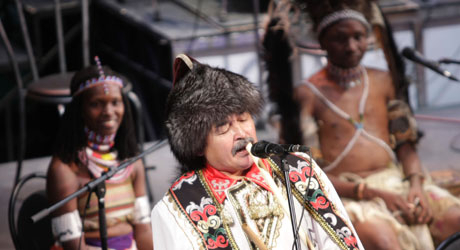 Mr. Azat Aitkulov is considered to be perhaps the greatest kurai player in Russia. The Great Rift Valley Orchestra also gave a concert with the Russian group Izumrud, making for an 11-piece Afro-Russian-American ensemble. 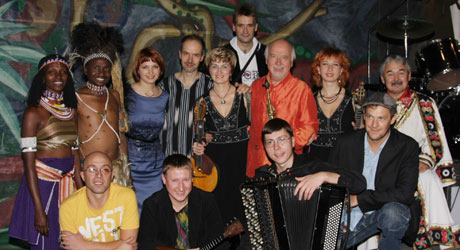 Izumrod includes domra (a mandolin-type instrument), balalaika, accordion and percussion. Our deep gratitude to all who collaborated with us and assisted us in Russia, especially to Maria Nefedova, Yevgeny Yevtushenko, Valentin Rasputin.